So I posted these bad boys on my Instagram tonight and many of you have already asked for the recipe, so here it is! And for those of you also asking if it’s my own recipe, sadly no! I’m not that creative when it comes to cooking lol! I found this cute recipe on Pinterest, thanks to Suburban Simplicity. Put them in the oven for a few seconds just to have the chocolate melt a little… Don’t let them melt top much! Lastly, stick them in the freezer to make them solid! And TA-DA!! That’s it guys! It shouldn’t take any longer than about 8-10 minutes! I’m definitely no chef, so if I can make them, you can too!! Do you guys have any fun holiday desserts you like to make? I’ll be sharing some more as the weeks go by! And if you haven’t already, be sure to check out my last post about my beauty & skincare routines! That is such a great idea for Thanksgiving-thank you! These are so stinkin’ cute! I love these ideas. Thanks for sharing! This is adorable! We make these in my kindergarten class and sometimes at home. Such a total classic Thanksgiving treat. Thank you so much for reminding me to go out and but the ingredients! These are adorable and seriously so easy to make! Def trying these for Thanksgiving! OMG, these are too cute. 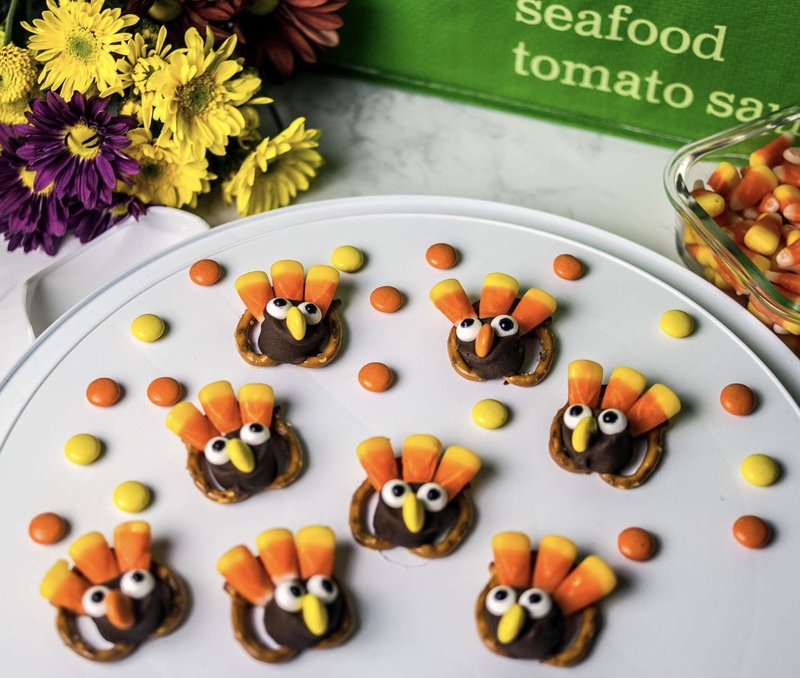 I am definitely going to try to make them for thanksgiving. These are the cutest! Don’t you just love when you find a great thing on Pinterest!! !